Could Asus' Transformer AiO be readying for its debut? A new classification from the Federal Communication Commission indicates Asus may be readying the release of an 18-inch tablet for 2013. Though concrete details on the tablet are sparse, the P1801-T model number given to the tablet may be indicative of the device's size. Asus' Eee Slate EP121 ended up being a 12-inch tablet, and the company's Nexus 7 tablet was a 7-inch device created for Google. Engadget speculated the P1801-T may be the finalized version of Asus' Transformer AiO, which debuted at Computex back in June 2012, and hasn't been seen since. The Transformer AiO is a massive tablet which was created to run two operating systems, with Android as one, and either Windows RT or Windows 8 as the other. As if the FCC filing wasn't enough indication of the mysterious tablet's existence, GLBenchmark also debuted some specs for a P1801 device. According to the benchmarking, the P1801 will run Android 4.1.1, and will include a Cortex A-9 processor powering a 1920 x 1032 display. Just how and when the device would use either of the operating systems isn't clear from the information available now, and likely won't be cleared up until the P1801 is formally announced by Asus. 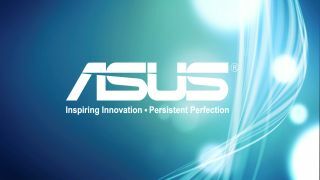 With CES 2013 set to kick off on Jan. 6, the wait might not be that long until Asus divulges more on its mystery tablet.